A little break from countries today. The sun is shining bright against a bank of threatening grey clouds and that always puts me in a thoughtful mood. Plus I’ve been making things for Christmas. 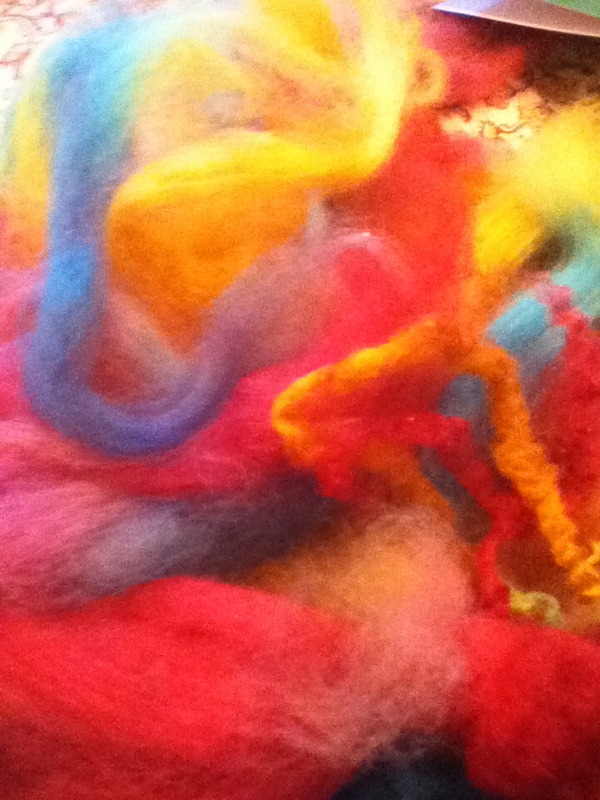 Felted things. There’s something about changing the form of matter that appeals to me. Pottery, where you take mud and create structures; glass blowing, where silica melts and you can twist it into shapes; felting, where you take fluffy stuff and turn it into little creatures or scenes or objects; writing, where you take letters and stick them together until they make some sort of sense. 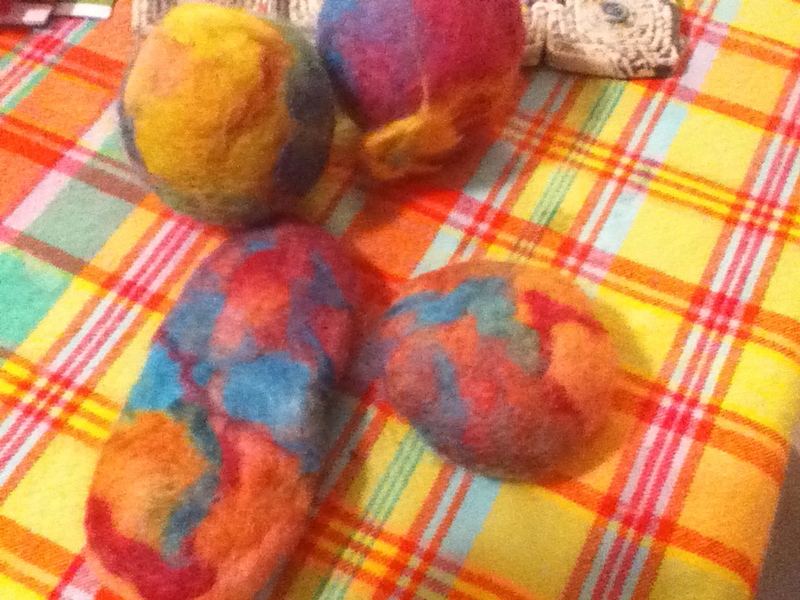 This morning I was felting rocks again. It’s a very “grounding” experience, as the trendy say. Add hot water and lots of soap, and scrunch and swirl it around and around in your hands, squeezing and rearranging until the wool knits together and suddenly it feels right. Yellow wool never cooperates, which may account for the lack of it on yarn shop shelves. It has to be used sparingly, much like adverbs in writing. A little bit is enough, too much and you get odd lumpish stuff. Writing can be like this – you write a bit and it feels messy and squishy and then you revise and revise and revise until it becomes totally meshed, with any luck. 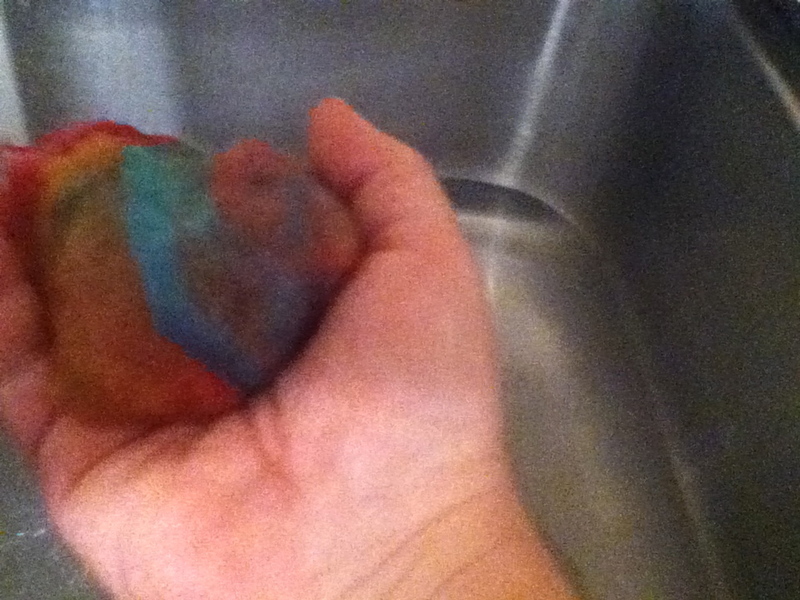 Of course, as with writing, not everyone is going to appreciate a felted rock. I like them because they take a hard heavy thing and put a cushy thing around them, and the whole thing is organic and just feels good. Selling them might be more difficult, though. And I guess that’s like writing, too. I suppose all we can do is write and feel and get that “felt” experience, as my friend Nancy would say.